Medicine and Technology: Do People Still Use the CORE Diabetes Model? Do People Still Use the CORE Diabetes Model? The CORE (Center for Outcomes Research) Diabetes Model is an Internet-based, interactive computer model that determines the long-term health outcomes and economic consequences of implementing different treatment policies or interventions in type 1 and type 2 diabetes mellitus. This model is based on other sub-models that simulate medical complications related to diabetes, such as: cardiovascular disease, retinopathy, hypoglycaemia, nephropathy, neuropathy, foot ulcers, amputation, stroke, ketoacidosis, lactic acidosis and ultimately mortality. The model was introduced several years ago (I believe in 2004 by researchers in Switzerland) and has been used by some to support clinical and reimbursement decision-making. In the world of pharmacoeconomics, these types of models can be invaluable, as long as they are valid and reliable. The CORE Diabetes Model has been validated against epidemiological and clinical studies. 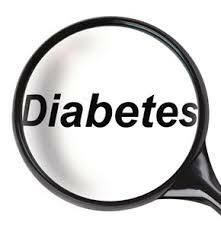 It provides an accurate representation of patient outcomes when compared to 66 studies of diabetes and its complications. Furthermore, its flexibility ensures that it can be used to compare diabetes management strategies across a variety of clinical settings.